Loudwire compiled a list of "Top 100 Hard Rock + Metal Albums of the 21st Century", including Avenged Sevenfold's Nightmare and City Of Evil. You can read some excerpts below. (Warner Bros., 2010) Following the death of drummer Jimmy ‘The Rev’ Sullivan, Avenged Sevenfold were faced with possibly the most challenging task of their career. Tapping virtuoso Mike Portnoy to replace The Rev, Avenged Sevenfold regrouped and came back with one of their strongest albums in ‘Nightmare.’ Both “Buried Alive” and “Nightmare” deal with confronting and battling inner demons, helping to propel ‘Nightmare’ to No. 1 on the ‘Billboard’ 200. 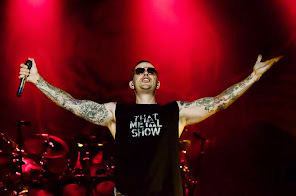 (Warner Bros., 2005) Veering in more traditional rock and metal territories, Avenged Sevenfold began to abandon their metalcore leanings with their third album, ‘City of Evil.’ Singer M. Shadows took to a more dedicated approach of showcasing his gritty clean vocals as the infectious guitar playing from duo Zacky Vengeance and Synyster Gates remained in tact and as strong as ever. 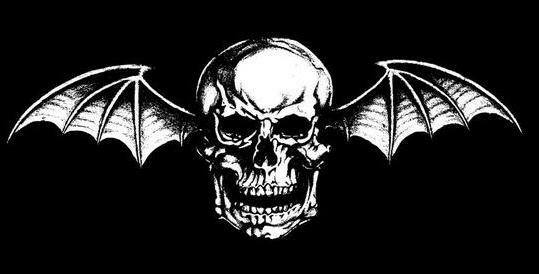 Anchored by leading singles “Bat Country” and “Beast and the Harlot,” this album helped cement Avenged Sevenfold’s status as leaders in the new millennium.